This ring is in BRAND NEW condition. 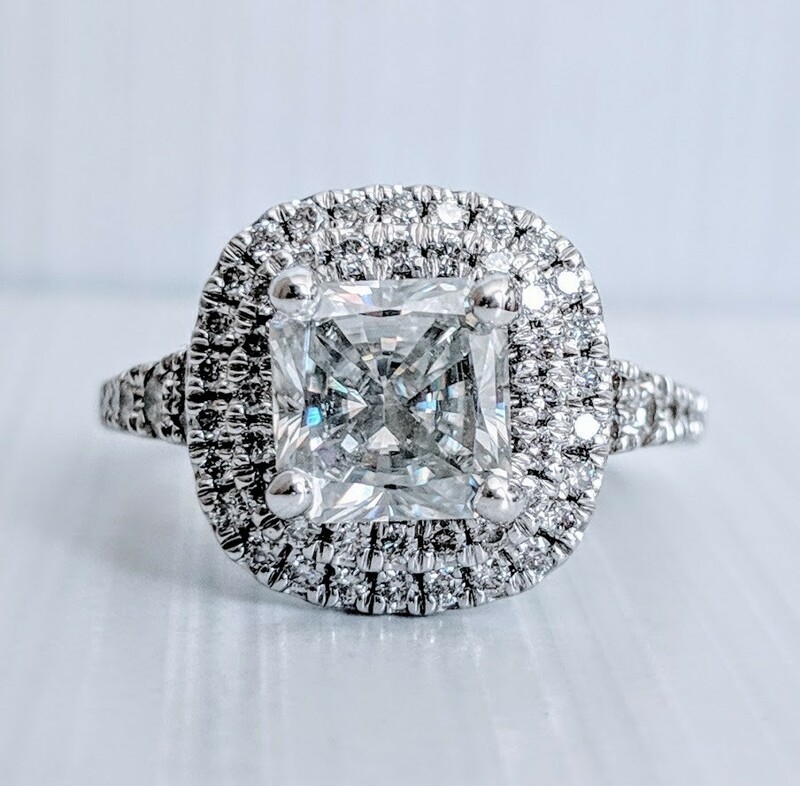 The 2.5 carat flawless, radiant cut moissanite (7.5 mm) is set in 14k white gold with an additional 3/4 carat of diamond. Currently a size 7.5 and sizable within reason. This ring is guaranteed to WOW you!